The official Nintendo investor relations website has updated the “Message from the President” page, which now reflects a message from newly sworn in President Shuntaro Furukawa. 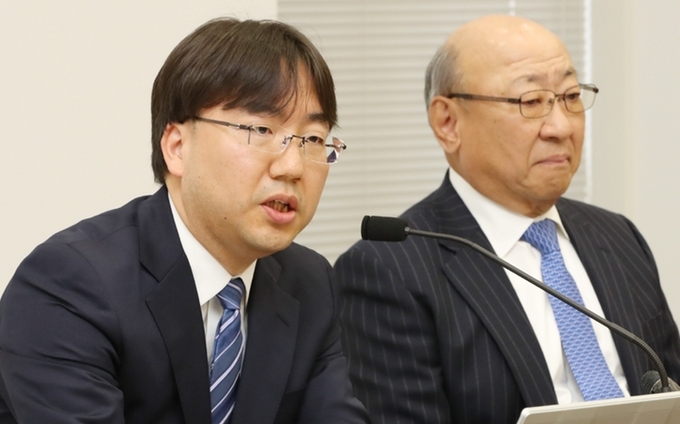 In his first address, Furukawa promised to continue Nintendo’s successful hardware and software strategy, and expand the number of people who have access to Nintendo IP through collaborations with other companies. Since the launch of Family Computer System (called Nintendo Entertainment System outside Japan) in 1983, Nintendo has been offering the world unique and original entertainment products under the development concept of hardware and software integration. In the field of home entertainment, the video game industry is one of the few industries established in Japan that spread around the world, and Nintendo has established itself as a well-known brand truly representing video game culture throughout the world. We want to continue being a company that creates entertainment to bring smiles to people’s faces. We also want to expand the number of people who have access to Nintendo IP; in other words, we want more people to have access to the characters and worlds from games created by Nintendo, and thereby raise the corporate value of our business. Based on this fundamental strategy, we will continue striving to offer products and services that anyone can enjoy, regardless of age, gender, or gaming experience by keeping our dedicated video game platform business with its integrated hardware and software at the core of our operations, as we have always done. Within our dedicated video game platform business, we will continue our efforts to introduce an even wider range of consumers to the unique appeal of Nintendo Switch, which can be played anytime, anywhere, with anyone. We will likewise work to continue providing software that can be enjoyed by a variety of consumers. In addition, we will work toward strengthening our digital business and building longer-term relationships with consumers through services such as Nintendo Switch Online. We continue to expand the number of people who have access to Nintendo IP in the world beyond game platforms developed by Nintendo. One method for achieving this is by expanding our game business to smart devices, which have built an extensive installed base worldwide. The experience of playing games on smart devices is different from that of playing games on the dedicated video game platforms that we develop with integrated hardware and software, which has yielded new opportunities to develop and operate games that more people around the world can enjoy on their smart devices. We are also bringing Nintendo characters to several different sectors, including theme parks, video content and character-based merchandise, to increase the opportunities for consumers to encounter Nintendo IP in their everyday lives. With support from our external partners, we are actively working on these aspects of the business, which differ from the dedicated video game platform business that has been a part of Nintendo for so many years. We intend to expand the number of people who have access to Nintendo IP by raising awareness across an even broader consumer demographic through these opportunities to make contact with consumers outside of games. Nintendo will continue to flexibly transform itself by adapting to changing times while constantly valuing the spirit of originality based on the belief that “the true value of entertainment lies in its uniqueness” – and we will continue to provide products and services that surprise and delight consumers. We ask you, our shareholders and investors, for your continued support and encouragement.